Official release of the 1985 radio recording with excellent sound. 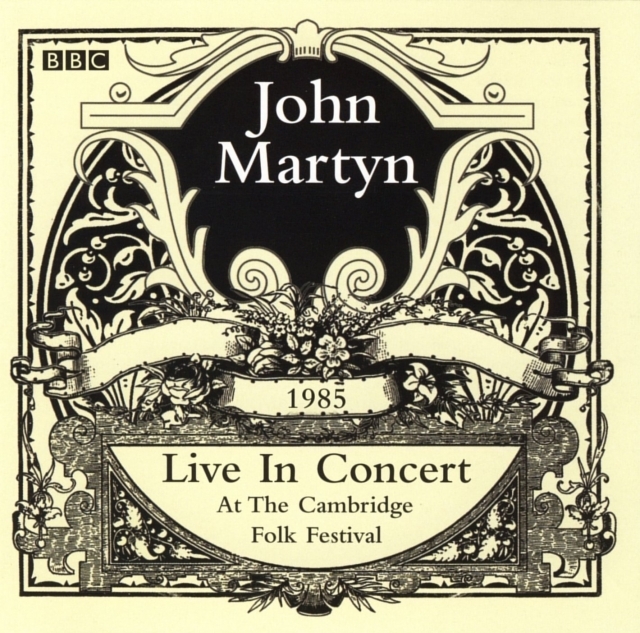 Recorded at the 21st Cambridge Folk Festival, 27 July 1985 by BBC Radio 1 and aired February 22 1986. This recording was in circulation as a live FM Radio tape. This time the intro by Pete Drummond, John's comments between songs and the band introduction have been left out. Line-up Foster Paterson (keyboards, misspelled Patterson), Danny Cummings (percussion), Alan Thomson (bass, spelled Thompson). Johnny Too Bad is played uptempo in a sort of 16/16 beat. The Easy Blues is listed as Jelly Roll Blues; acoustic version with somewhat distant guitar. Dealer and Outside In are segued after 2'36". A BBC Music Production under license, distributed by Pinnacle. "Thanks to John Hillarby at www.johnmartyn.net".